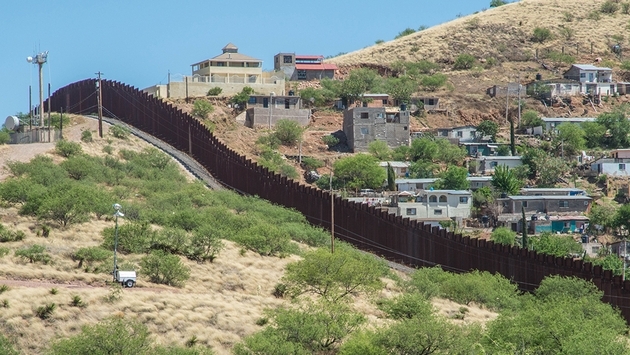 We share a 2,000-mile line-in-the-sand with Mexico, and it’s always been more than migrants and tourists traversing the border: it’s the good, the bad and the ugly flowing in both directions. Across this porous line, there’s been a decade of natural disasters, narco-crime, H1N1, Zika, a U.S. economic meltdown, and terror at home. Through it all, however, tourism to Mexico has boasted a decade of spectacular success, constantly redefining a country you sell to the “fly ‘n flop” beach vacation customer. Following last week’s election, though, a range of new US-Mexico issues has arisen for the travel agent community. You may have clients asking, "Will the Mexicans be as friendly to American visitors as before? Will Mexicans continue to look north for jobs, leisure travel, and consumer trends? What if your customers (or you) want to seriously consider moving to Mexico: Is this still a viable option?" As someone who’s had one foot on both sides of the border for nearly 40 years, my answer is yes, yes and yes. I live with my wife Jane in Jalisco, on the shore of Mexico’s largest freshwater lake. For decades, our lakeshore has been home to the largest year-round ‘colony’ of Americans and Canadians living abroad. Even if you live in a private-gated enclave, your daily interactions with Mexican friends and neighbors is a cornerstone of why most of us are here. So, over the past days, what’s been the dialogue? Is there piñata burning protests? Not so. Mostly it’s Mexicans asking questions like ‘Is he really going to do what he said?’ or ‘How is the U.S. going to change with one party running the whole show?’ Don’t we all want to know? It’s curiosity more than any manifestation of a soured relationship. Mexico’s tourism industry heads are being more cautious. Based on the survey reported in Reportur.mx, 54 percent percent of tourism business leaders said negative impact is coming, 36 percent of industry players think that everything will remain the same, and 10 percent of entrepreneurs see benefits from a Trump administration. As for whether Mexicans will continue to embrace their gabacho neighbors, I’d say there ain’t no wall high enough to contain what demographers call America’s ‘diversity explosion’. Mexicans love Americans (and Canucks too). We connect on so many levels. So, it’s a shared destiny with Mexico that no political shift can stop, and for the wall advocates, consider this: who’s going to pay the taxes and fill the skilled jobs America will need to support our zero-growth, aging population? Without a young, educated Latino bulge swelling our nation’s ranks, it’s an upside-down-pyramid future; fewer and fewer working-age citizens supporting a long-living, aged boomer class who’s needs are already forecast to break the bank.